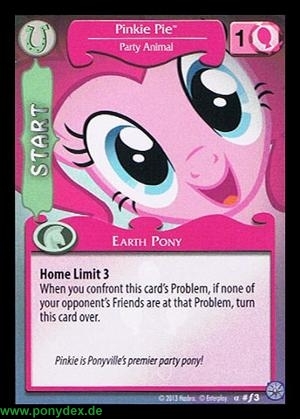 When you confront this card's Problem, if none of your opponent's Friends are at that Problem, turn this card over. 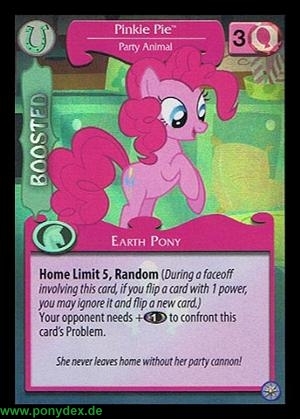 Pinkie is Ponyvillie's premier party pony! She never leaves home without her party cannon!